Three weeks after he was injured in Afghanistan, Dan, an infantry soldier, sat alone in the Warrior Transition Unit (WTU) at Fort Benning in Georgia. Away from his family and suffering from post-traumatic stress syndrome (PTSD), Dan was consumed with anger. "Be at my door at 4:30 in the morning," said the lieutenant colonel. But Dan replied that he didn’t know if that was something he wanted to do. Tugging on the rank attached to his fatigues, the lieutenant colonel, said, "No, you misunderstood me. I said be at my door at 4:30." So, in the darkness before dawn, Dan stood at the man’s doorstep. After loading boats onto a truck, they drove to Lake Eufaula, and hours later Dan would discover his new passion—kayak fishing—and along with it a sense of calm he’d lost in the Middle East. 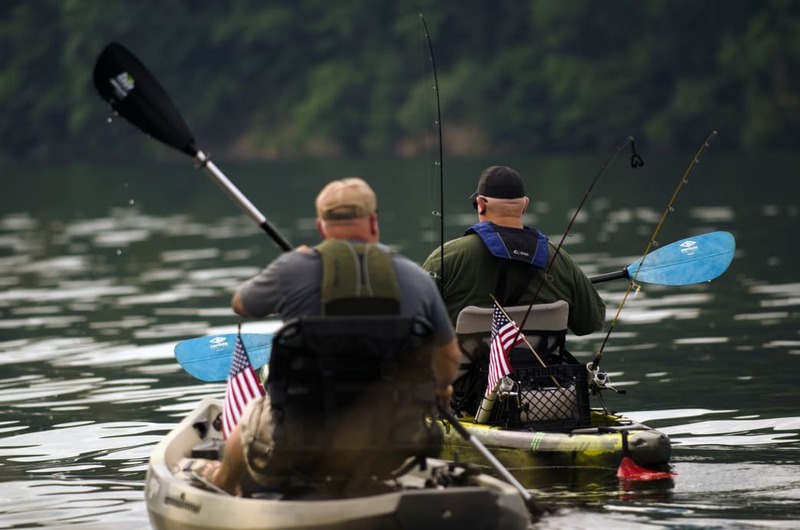 As it turns out, the lieutenant colonel was a volunteer with Heroes on the Water, a nonprofit organization with more than 70 U.S. chapters, including two in Alabama, that host kayak fishing trips for military veterans, active-duty members, first responders and their families. The outings are free for participants, and HOW chapters rely on volunteer labor as well as services donated by corporate partners and organizations. 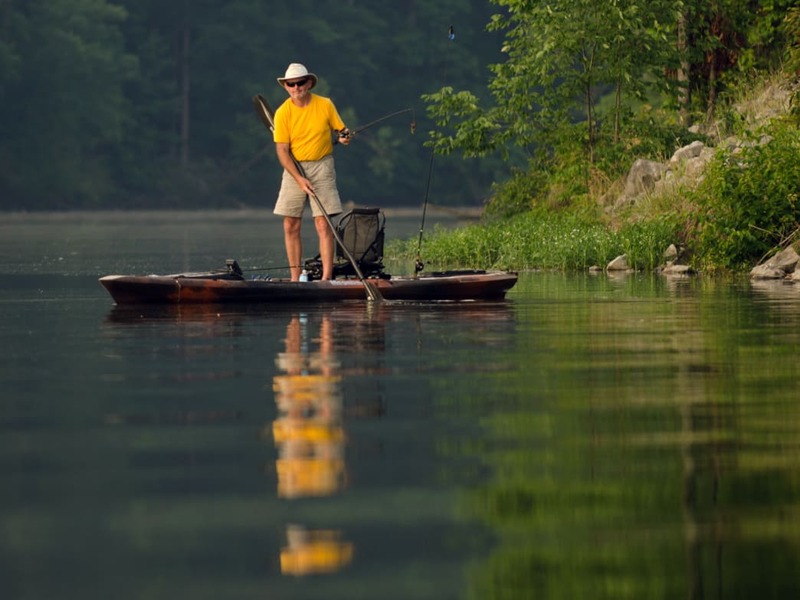 When Dan was released from the WTU, he returned home and began participating in kayak fishing trips with the HOW North Alabama Chapter based in Huntsville. 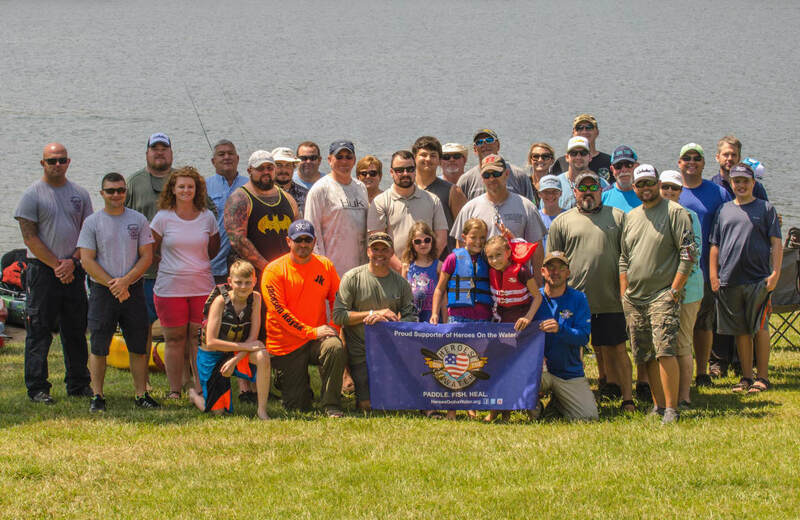 From May to September, the chapter hosts events once a month on lakes in Florence, Guntersville, Scottsboro and Birmingham, while additional outings take place occasionally throughout the year. Based in Mobile, the HOW South Alabama Chapter runs trips on area lakes and streams as well as the Gulf of Mexico. When we think of wounded warriors, we often imagine a person with visible scars or maybe missing limbs. But, in many cases, veterans suffer from invisible wounds, such as PTSD, caused by life-threatening experiences in combat as well as sexual assault and other traumas. Between 11% and 20% of military personnel who served in Operations Iraqi Freedom and Enduring Freedom have PTSD, according to the U.S. Department of Veterans Affairs. Over the past decade, experts in recreation have realized that outdoor activities and adventure programs are especially effective in addressing PTSD. Primarily, nature provides veterans some solitude and gives them time to think, or allows them to settle their minds, without being distracted by everyday worries. At the same time, outdoor sports and adventure sports involve the type of camaraderie and physical and mental challenges that veterans experienced in the service. Partnering with Heroes on the Water and other organizations, Troy University conducted an 18-month study that found that alternative forms of therapy had reduced participants’ stress levels by 56%. 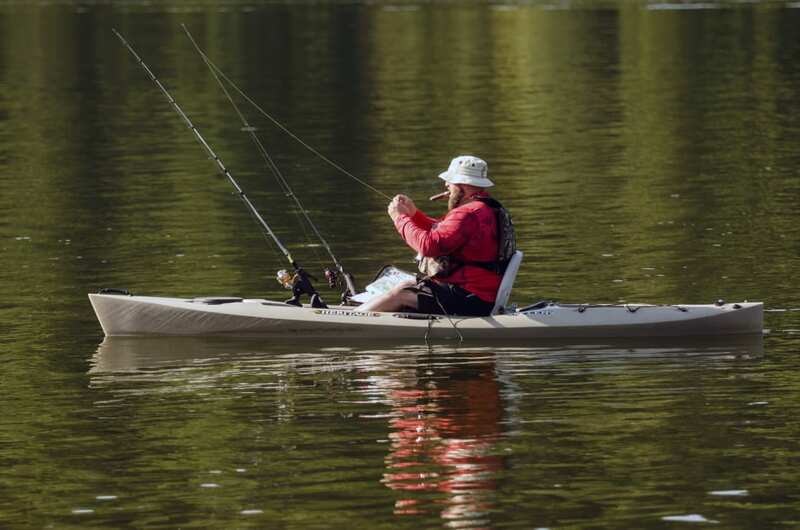 While there are a variety of outdoor programs for wounded veterans, from climbing expeditions to rafting trips, kayak fishing is particularly effective, says Jason Hyche, founder of the HOW North Alabama Chapter. First, he notes that it’s not a very difficult activity, and the boats are very stable, so people with little or no experience can enjoy it. Plus, boats can be adapted for veterans who do have physical disabilities. 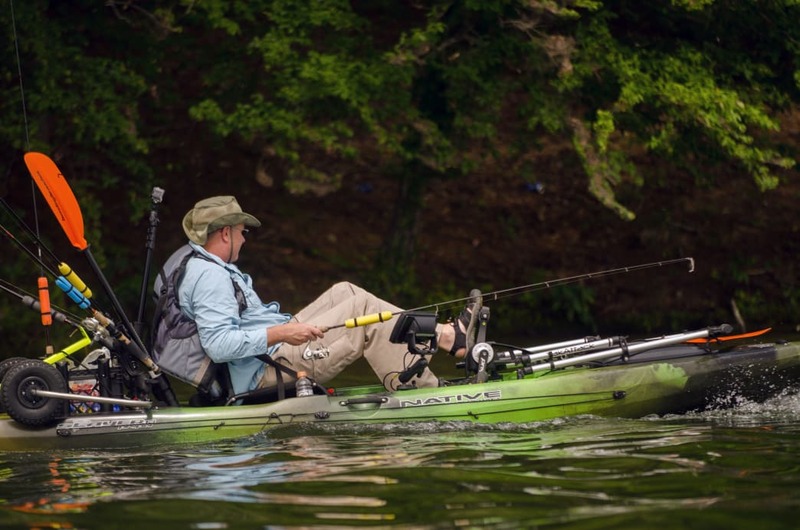 Even though kayak fishing isn’t strenuous, it does provide some exercise, which is especially beneficial for people with PTSD, because they tend to isolate themselves and become sedentary. 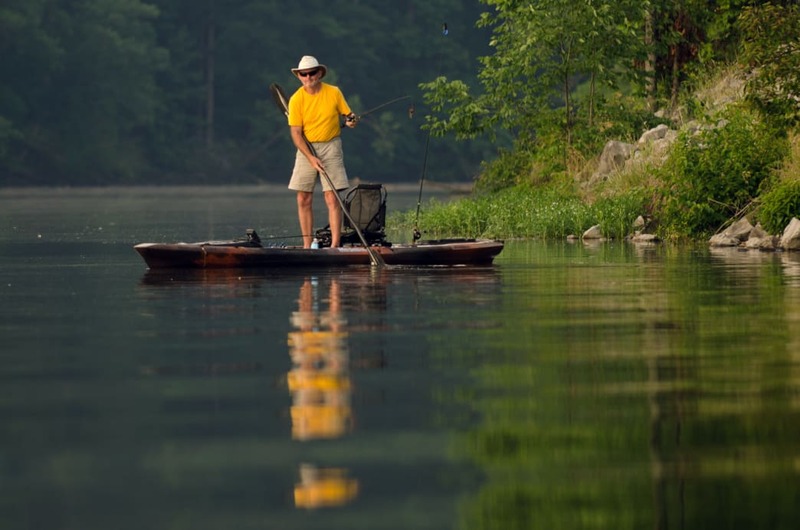 During the outings with HOW, veterans not only get to connect with nature in a peaceful setting and enjoy some exercise, but they also have the opportunity to spend time with other participants and veterans who are volunteers and serve as fishing guides. "You meet other vets and you can talk about what’s bothering you—or not talk about it," says Dan. At HOW gatherings, veterans are given the freedom to open up as much as they want or not reveal much at all. "We don’t ask what they did. We don’t ask them about their service," says Brian Carson of the South Alabama Chapter, adding that many veterans don’t want to re-hash events that led to their injuries. He says the primary goal is to allow participants to relax, have a good time and socialize with people they can relate to. For some of the veterans, just getting out of the house and going to the event is a monumental step. At a North Alabama Chapter gathering, the wife of one veteran told Hyche that, aside from family get-togethers, it was the fist public event they had been to in seven years. HOW provides extra kayaks for family members, and local restaurants donate their services to cater the gatherings, so veterans and their families can share a meal and spend quality time with others facing similar challenges. Over time, HOW chapters develop into communities, and they provide avenues for people to reconnect to society. For Dan, the HOW North Alabama and South Alabama chapters are almost like an extended family that spans the state. When Dan planned a rare vacation with his family, he realized he had no way to haul his kayak to Orange Beach. So, he sent a message to the South Alabama Chapter requesting help, and soon received a response. Without that extended family, his life could have been profoundly different. Rather than being overwhelmed by PTSD, Dan discovered an activity to ease his mind, and he began friendships with HOW volunteers who still fish with him today.